I think I found the first fire road and I spent my day exploring it. I have drawn in the trails I talk about below in the locations I think they are to the best of my non-artistic ability. I had the map out as I went up the main fire road and I followed it as closely as possible. Just before the first bend in the FR is a slight trail to the left. 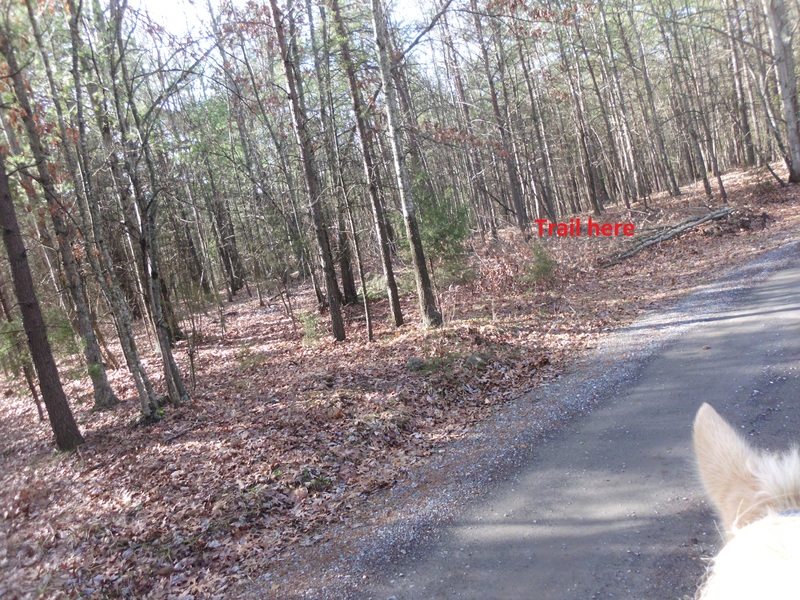 This is where I had originally thought the first fire road turn might be, but it was just a short trail that went a little ways and then trickled into more of a hunters foot path. Up to that point it was a nice little trail though, rather clear and easy to navigate. I saw boot prints and other signs (trash) of recent use. This trail is now marked on the map above in black sharpie. I continued on the main FR through a few more bends and curves which are not designated on the map and I came to a pull over on the left. It had recently been used, and there were even signs of horse trailer parking (small dustings of horse poo that clearly came out of a trailer). A dead rotting deer carcass, some other odd dumped debris including what appeared to be some type of upholstered vehicle seat. When facing this pull over, to the left side of it is a trail. I took this trail and it was very clear and prominent but after a very short distance it evaporated and is clearly used by hunters and probably no one else. But to the right of this pull over are a couple berms, some large, that sort of face out in two directions. I *believe* this is the first fire road turn FR536C. I headed up it and followed well cut trails over and around the berms and followed a trail with a slight incline. 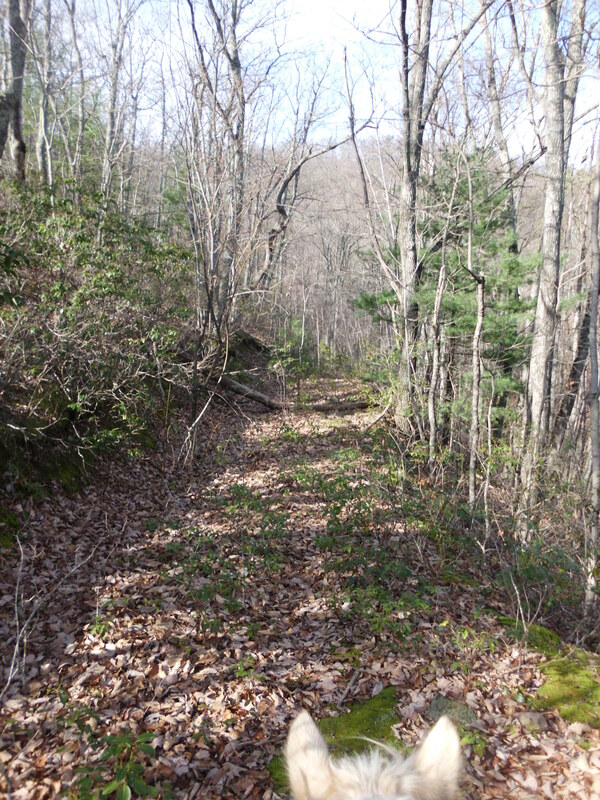 It is the width of a fire road, but heavily over grown with small trees and bushes. The trail that cuts through them is well defined and clearly used. I saw boot and hoof prints on this trail, several clipped back and broken back branches at rider height, and it was clear enough to get in a bit of a trot and canter at some points. It wound around pleasantly for a good ways, with a slight incline and eventually reached a branching point. The branch appears to have three directions, left, right and straight. I continued straight and the trail wound along pleasantly. At one point you ride on sort of a ridge along the side of a hill, it appears to have been cut and then overgrown but with a nice worn path winding along it. This portion of the trail abruptly ends at a washed out area. There is a man made water hole (probably a gross stagnant mosquito breeding ground in warm weather) and the general area around it appears to be rocky and probably swampy flooded in the wet spring. I did not see a point at which the trail continued from there. The area is very heavy in leaf litter and with it being a wet area for part of the year, it is highly possible that the trail is hard to follow at this point, and I was simply unable to find it. 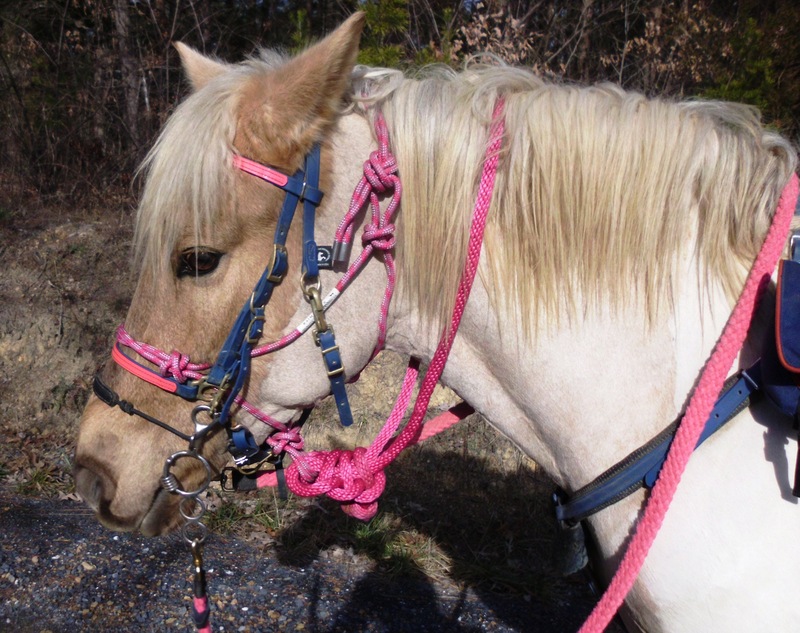 There is a bit of a creek bed that angles off to the left, although I didn’t really have interest in pushing my pony to stumble along a dried out rocky creek bed with all the pitfalls being covered in a foot of brown leaves. There also appeared to be somewhat of a path ahead and slightly to the left heading steeply up. I did push along it for a shot while but with it being so deep in leaf litter and very unclear if it was the actual trail continuing and not just a deer or other critter path, I decided to call it quits at that point and turned around. I returned to the branching point and tried the trail that would have been to my left when riding up the FR, but was now to my right, riding back down it. It crossed a small berm and headed out on a similarly clear and level trail, that appeared cut and officially placed. After a short way there was another trail that branched to the left, which I will describe in a moment. Continuing ahead on the trail, it remains a clear cut trail with a well worn and used path, and I continued to see signs of foot and horse traffic. It winds along for a ways with a few inclines and some levelish areas. At one point you are on a cut trail, needing a bit of clean up but still well defined, wrapping around the edge of a hill, and you can see the trail you are on continuing to wrap around and eventually turning to run directly parallel to your current position. At about this point you may also notice another clearly cut path, running along the side of the hill but below the trail you are following. It is very clear and appears man made and used. but trickles out and appears to dead end a few yards steeply down from your path. I will have to investigate this mystery path on a future ride. It will probably require dismounting and sliding down the hill to it or trekking a longer distance through the woods to reach it with less of a decent. The trail you are currently on continues and eventually begins a steep climb into deep leaf litter, making a sharp turn right, and climbing. I stopped at this point, as the trail was hard to follow in the leaves and was very steep and I was not interesting in going back down it later. I will investigate in the future though. I returned along that trail and took the branch from it that is now on my right, but was on my left as I began the trail. It is also well cut and clear, and travels clearly for a semi short way to what appears to be a clear camping area. The trail then continues out the other side of the clearing and on down through deep leaves and towards a dry creek. 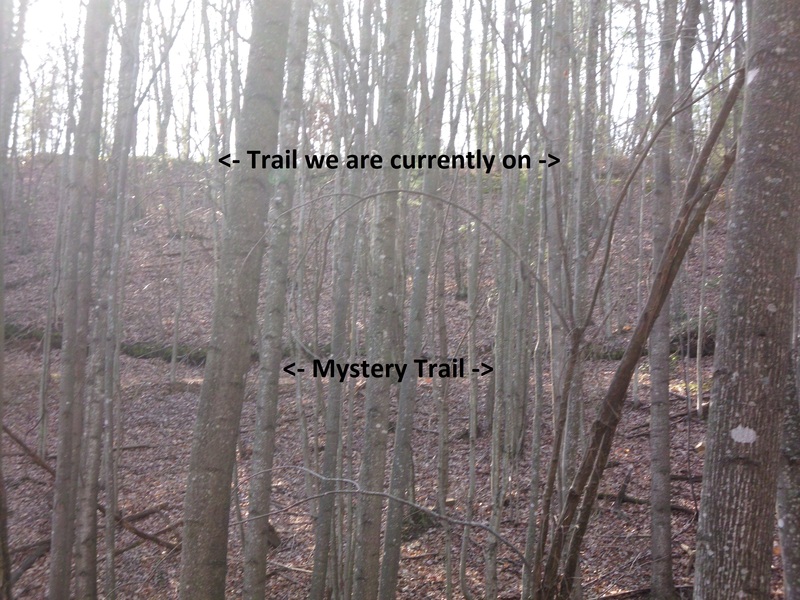 It is possible that this trail meets up and becomes the mystery trail I have yet to investigate. It is headed in that direction. But I had been out for quite a while at this point, and the trail was becoming hard to determine in the low leave and deep leaf litter, so I decided to call it for the day and returned. I did not have time to investigate the trail to the right at the main branching point. 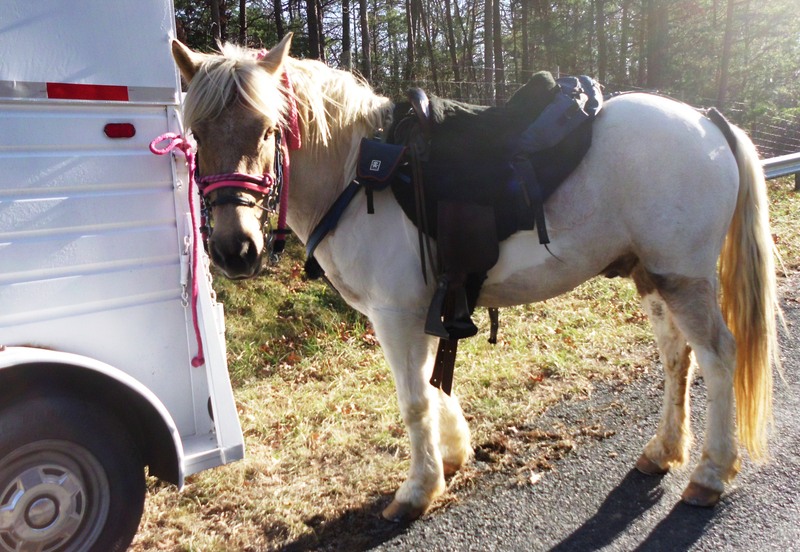 and I returned to the main fire road and headed back out to my trailer. I would suspect that this is the first fire road branch # 536C and it is simply over grown and mostly unused. I did not see any sign of the gate that is marked on the map, but there were several berms at the starting point. the FR was quite over grown with young trees and bushes but could have been better maintained in a time of greater economics. Simon thinks this might just be a little too much pink. I will have to return and continue to explore this direction and all the side trails and paths. and also explore father along the main FR to be certain that this is the first FR branch #536C. But, at this point, I am pretty certain it is. I will state that it baffles me that the Forest Service does not include these trails more clearly on the maps and mark them more prominently in the woods. These are excellent trails and clearly a lot of man power went into creating them at one time. It would also be easy to become lost and turned around on all these unmarked trails, and a person with a lesser sense of direction would not even be able to clearly reference a map for assistance. I am aware that you are allowed to go anywhere in the forest, but are not to create unsanctioned trails. But since this FR is marked on the map, but not marked in person, it makes determining if this is the actual trail that is sanctioned hard to determine. I also realize that the Forest Service works with extremely limited resources and have a high and probably difficult chain of command for actions and funding to trickle from. But it does seem like a bit of a waste of resources to let trails that appear to at one time were well defined to become unmarked and often, unused, trails. 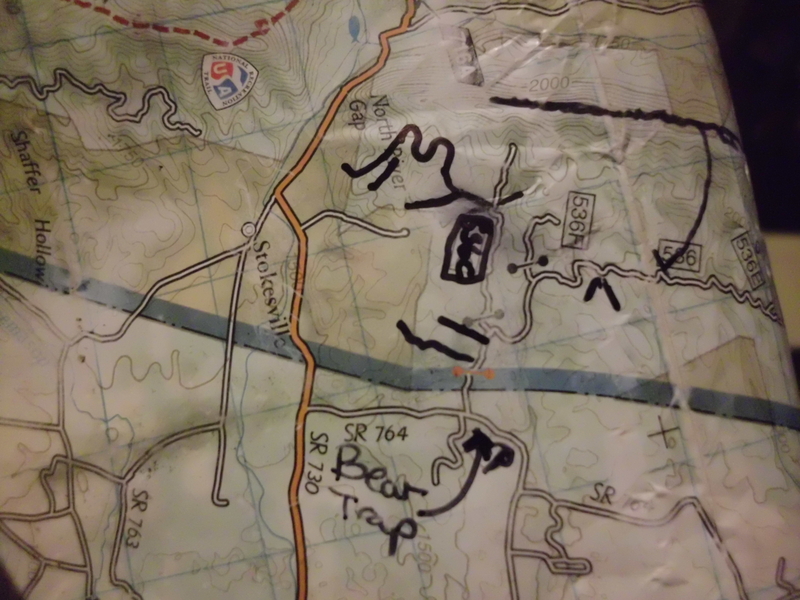 This has me reflecting on the trail 439 which I navigated a few weeks ago and comment on in post https://blueridgepony.wordpress.com/2011/12/21/bear-trap-exploration/ that previously had nice wooden signs clearly marking both access ends, but which has since then had the signs removed and simple green tree tags put up in their place. These are much harder to find, and much harder to read, and also provide less information for the forest visitor. I do not see an advantage to removing the already present and more informative sign in place of a lesser one. I am sure there is a reason that I just don’t know about.